Regardless of the time of year our city is a beautiful place to live. For those of us lucky enough to live and work in Charlotte we see beautiful trees fill our business parks and neighborhoods. In the spring it’s the Bradford Pears, Dog Woods, and Tulip Magnolia that burst with life. And in the fall we have Willow Oaks showering us with the colors of fall. 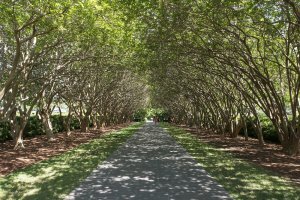 Charlotte is well known for its canopy of trees that line some 150,000 streets. The City of Charlotte maintains over 35,000 trees in the Queen City neighborhoods such as Dilworth, Chantilly, and Myers Park. The century old Willow Oaks that line the streets creating a tree canopy give the historic neighborhoods a beauty only nature can create. The City of Charlotte knew this beauty should be protected and maintained if we were to going to enjoy their beauty. Thus earning the name, “The City of Trees.” TreesCharlotte is a public/private collaboration that works to maintain and expand the natural tree canopy of our beautiful city. TreesCharlotte not only serves to protect our natural beauty they bring our community together. You don’t have to be a tree expert to appreciate TreesCharlotte. 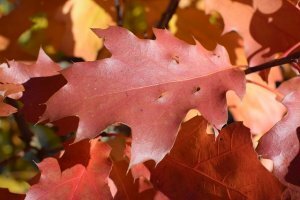 You will see the dazzling fall colors as you drive through Charlotte neighborhoods you will also hear the familiar sounds of leaf blowers. It is a weekend pastime in the fall. Homeowners blowing leaves off the lawn and drive way. 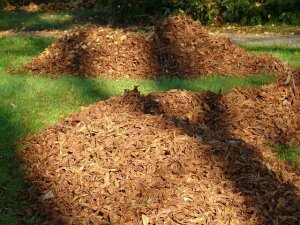 There is a sense of accomplishment that only lasts a few days once you have piled your bags full of leaves along the curb. The rich green grass that you proudly display will soon be hidden by the autumn colors from the leaves once again. By next weekend you are once blowing and bagging to protect the grass. While we enjoy the grandeur of towering trees we also never count on them landing on our homes. And far too many homeowners in Charlotte have experienced that horrific sound of the falling branch or the uprooting of a century old tree that crashes down on their home. There are so many things that bring beauty to the Queen City it is difficult to single out just one. The City management and the people of Charlotte take pride in where we live and work. The efforts of both the public and private sectors of our community have established this as one of the fast growing cities in the south east and certainly one of the prettiest.